The health of the environment, and the associated human and natural communities, is significantly influenced by water quality. To ensure a safe and acceptable water system (including for example, groundwater, surface water, rivers, irrigation water, drinking-water, and wastewater), an effective system for the proactive monitoring and management of water-quality is required. Emanti’s Water Quality Management System (eWQMS) can be used by companies, private developments, Water Service Authorities (local government), and provincial/national government to guide the tracking, reviewing and improving of water quality. The eWQMS enables you to track and manage water quality and related environmental and health risks conveniently and competently. Water quality information is captured by authorized personnel and stored onto the central database. Water quality information can then be easily retrieved from the database via the internet to generate reports, tables and graphs for management review and decision making processes. 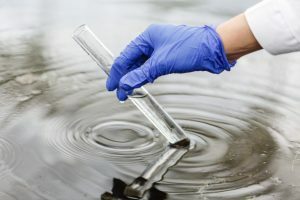 The eWQMS enables users to gain an improved understanding of the subject, and allows access to water quality data obtained from sample collection and analyses. The system will provide you with the key to successful water quality and related environmental management through the correct identification of risks and the setting up of procedures to eliminate or control those risks. If you are interested in eWQMS and how it can help your business, please contact us. eWQMS brochure can be downloaded here.